David spent hours building a fence to keep his dog Stella from jumping over to the neighbors garden. 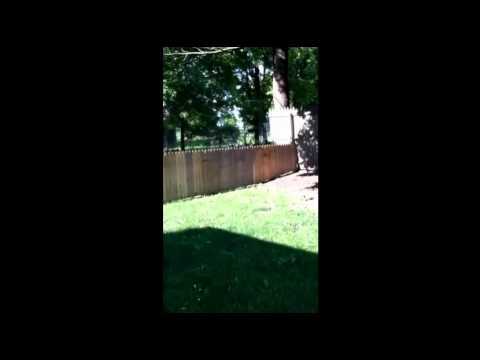 Watch as he proudly records his fence and then within seconds his dog jumps over the fence without breaking a sweat. His reaction “Damn it” will leave you laughing as you know he has accepted defeat. Dad Spent Hours Building A Fence For His Dog. Now Watch The Right Side Of The Screen. Hilarious!